I am retiring and closing my letterpress business. 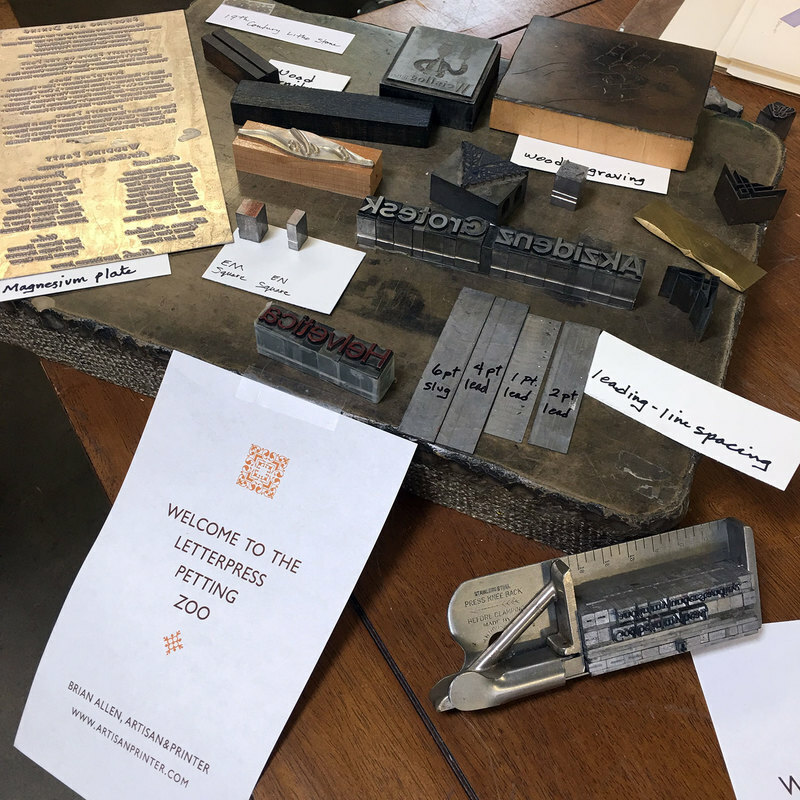 print ​in the legacy of Johannes Gutenberg. See the various tabs for photos and inventories. My Book collection, built over 40 years, is also for sale. I have about 350 books about printing history, letterpress, typography, type design, books about books, bookbinding. You will find the book list, with prices, under the tab "Book Collection." I had hoped to sell them as a single unit, but that hasn't happened. So books are available à​ la carte. I had preferred to sell the shop's equipment as a single unit - basically a complete turn-key print shop, but am not longer attempting that. If you are interested in a single piece of equipment (see inventories on the pertinent pages), do get in touch. You may also look at the letterpress prints and cards I have for sale at my Etsy shop. Broadsides and thank you notes in various languages! Here is a short video of me printing on my Gietz Model 60 parallel/fine-art platen press.